Summertime is here which means more outdoor fun, holiday celebrations, and endless entertaining. And when it comes to throwing the perfect summer party, where would we be without a classy wine and cheese party! A wine and cheese party is a great opportunity for a host to prepare a light menu without burning up hovering over a stove in a sweltering kitchen. It’s also a chance for your guests to spend time enjoying fun summer activities like swimming in the pool without feeling weighed down with a heavy meal. An ideal wine and cheese party begins with pairing the right wines and cheeses together. While invitations aren’t necessary, they make a nice touch for your party. Wine and cheese greeting cards are easy to find in stores and on online websites. Visit any card store and you should be able to find something suitable for your party. If you don’t find the exact card you’re looking for in your local neighborhood stores, there are cards available on websites such as Zazzle, Etsy or Amazon. Each site has an array of choices from fun to formal card styles, so it shouldn’t be too difficult to find the appropriate invitations that suit your personal style for your wine and cheese party. Both wines and cheeses come in a variety of textures, aromas, and flavors. Some are bold and intense; others are light and creamy. It’s important as a host, to serve the right wine with your cheeses, so you don’t overpower any flavors that provide the best dining experience for your guests. Zinfandel, Cabernet Sauvignon, and Syrah are bold wines with a lot of zest. These wines pair well with pungent, intense cheeses. Pair a Syrah with a smoked cheese like Gouda or match a Cabernet Sauvignon goes perfectly with an aged cheddar or a peppery flavored cheese. Lighter red wines such as Beaujolais and Pinot Noir pair well with equally light cheeses that are nutty and have a medium firmness. Pair a Pinot Noir with the nutty Gruyere cheese for a great taste. Beaujolais wines are delicious served with a mild cheese like Brie. The creaminess of the soft French Brie with a full bodied Moulin a vent make for an excellent combo for your wine and cheese party. You have more choices when it comes to pairing white wines with cheeses. This is because white wines don’t have the heavy tannins like reds, which require careful pairing. Stay away from blue cheeses with white wine. Goat cheeses pair well with Sauvignon Blanc or match the fruity off-dry Prosecco with an Asiago cheese with medium firmness. 6. What to pair with Fondue? Have fondue on your menu? This robust cheese can be difficult to pair sometimes. But fret none. Fondue tastes delicious with a German Riesling. The acidity and sweet flavor of the Riesling complement the nutty, robust flavor of the fondue and add a sweet and salty taste for a mouthwatering coupling. 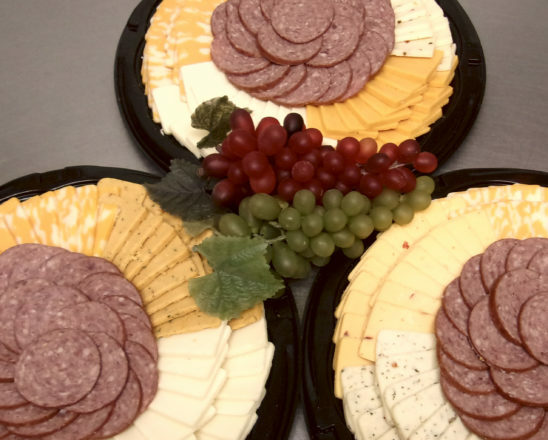 While wine and cheese are fine by itself, if you’d like to expand your menu there are other food items you can pick up at your grocery store that would complement your party. What’s a wine and cheese party without crackers and bread? When selecting crackers, make sure they’re not too peppery. You also don’t want any crackers with heavy flavors because they can take away the taste from your cheese and wine pairings. A tasty water biscuit is a good choice because it’s light in flavor. 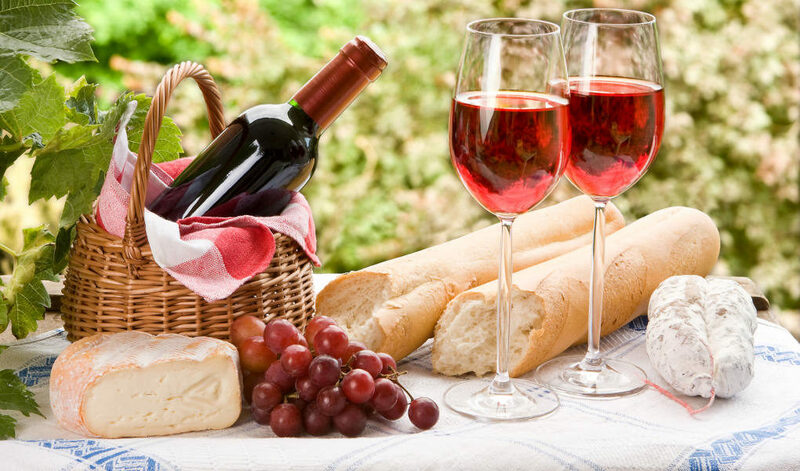 French Baguettes and grilled bread also make for a nice bread choice for cheese and wine. Make sure and take out your cheese 30 minutes before you serve it so it has some time to soften a bit. Other foods that go well with wine and cheese are fruits. Pick up grapes, strawberries, blueberries for your table. Watermelon is a great fruit if you’re having your party in the summertime. Every wine and cheese party needs a cheese slicer. Cheese slicers come in a variety of sizes, styles, and prices. You also need a board to cut your cheese. If you don’t want to spring for a new cheese board, you can use a simple wooden cutting board. Looking for entertaining wine tasting and wine party games? We’ve got you covered. Here are a few to get you started that are loads of fun and will have your guests roaring with laughter. This is a wine board game for the host that doesn’t want to create her own wine games. This game is a question and answer game that helps your party guests learn more about wine. Bring wines from different regions such as France, California, and Italy. Have your guests try to guess which regions the wines are from. What’s a game without prizes for the winners! You can present the winners with prizes such as gift packs, fruit butter, and tasty jams. Now you’re ready for planning your next wine and cheese party with invitations, food, wine, games, and prizes. Have another tip to share for a wine and cheese party? Let us know. 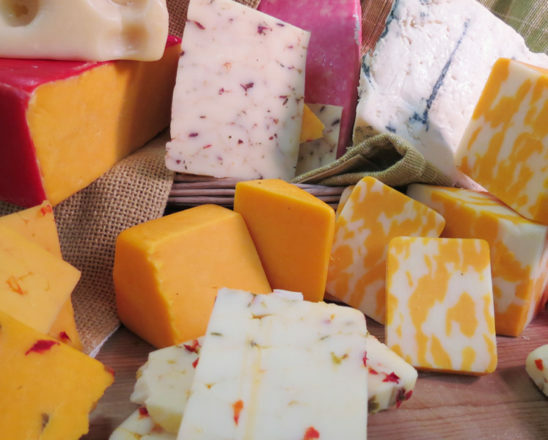 Founded in 1944, our company, Osceola Cheese, has provided cheese lovers 275 types of cheeses, meats, delicacies and gift baskets to enjoy. Visit our website today and read about our history.